Before moving to London I lived in Liverpool, and spent all of my life growing up far enough away to not be a scouser, but close enough to be called a wool. Liverpool is home to me, and now I’m oh so far away I’m asked a fair bit about where to hang out, where to drink, what to do with limited time there when visiting. NEVER FEAR. 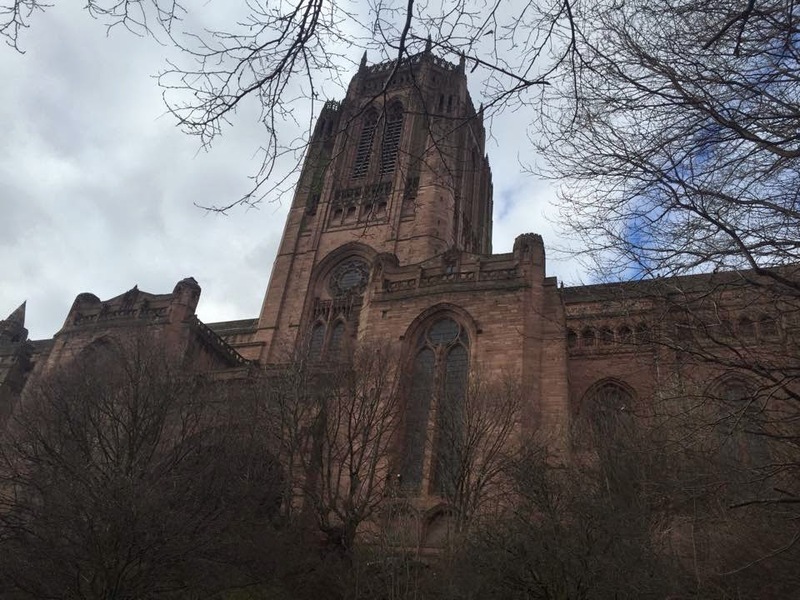 I know all the best Liverpool haunts and I’m here to share them in the Liverpool guide, starting with VIEWS! You can’t spend your time in this city on the ground, there’s FAR too much to see. So where should you go? One of my favourite chill spots, Oh Me Oh My located in West Africa House houses a little roof garden known as ‘Goodness Gracious’. The place is clad out in decking, teaming with cushions, blankets, parasols and most importantly, booze. If I had to recommend one place in Liverpool to visit whilst it’s sunny, it would be Goodness Gracious. I’ve been frequenting since it opened and I’m so happy to have seen it grow and evolve so much. 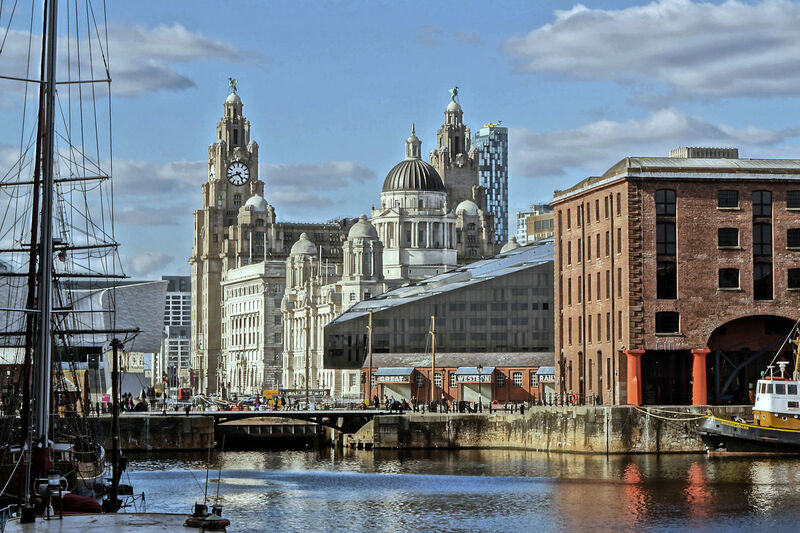 Located almost directly opposite the famous Liver Building, you’ll get a view of the Three Graces you wouldn’t get anywhere else. Sip on a gin as the sun reflects off the River Mersey and have a good ol’ relax. It’s actually been the subject of a past blogpost, you can read that here! Better known to most as the Anglican Cathdral. Liverpool boats two Cathedrals, Liverpool Cathedral, A.K.A. the Anglican Cathedral, and the Metropolitan Cathedral, A.K.A Paddy’s Wigwam, both linked by the aptly named Hope Street. For a meager £5.50 you can climb the many, trust me there are MANY, steps to the rooftop of the Anglican Cathedral. Walking through the belltower isn’t something you’ll forget in a hurry, and this is all before you reach the top and can get some magnificent views of the city centre, river, and the rest of the city. I spent ages trying to spot my flat located near Islington, but technically in Everton. Took a while, but was worth it. This was featured in my Staycation posts a few years back! I lived opposite this park, and so it was a staple on my running route. 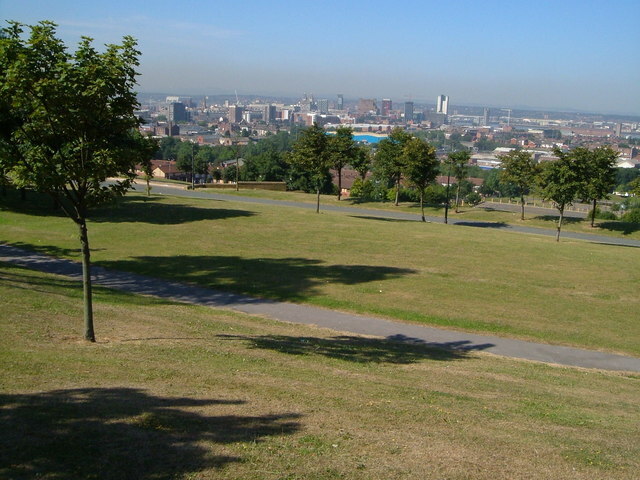 Everton Park’s view is the one I would personally recommend the most, however it’s not City Centre, and doesn’t really have any amenities. That being said, it’s only a 15 minute walk from Liverpool Lime Street and is well worth it, especially at sunset. Sadly I’ve had to go online to find pictures of this, you can see another here or watch a video of mine with bits filmed in the park here. 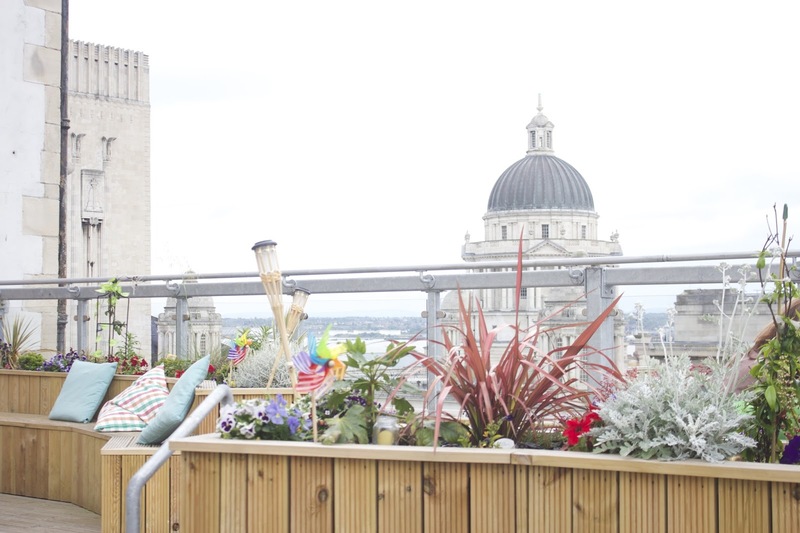 Recently voted Liverpool’s best restaurant, Panoramic 34 offers a unique view of the city you won’t get anywhere else. Located high in West Tower (the tallest in the city) you gain panoramic views from 34 floors up, the name makes sense now right? The restaurant and bar are a little pricey, however now I live in London I wish the cocktail I spent £10 on would be considered the best in the city! It’s a truly beautiful and special place, I’ve been to celebrate friend’s birthdays as well as my mum’s! It makes for a great outing, and I 100% recommend the Tokyo Iced Iced Tea. 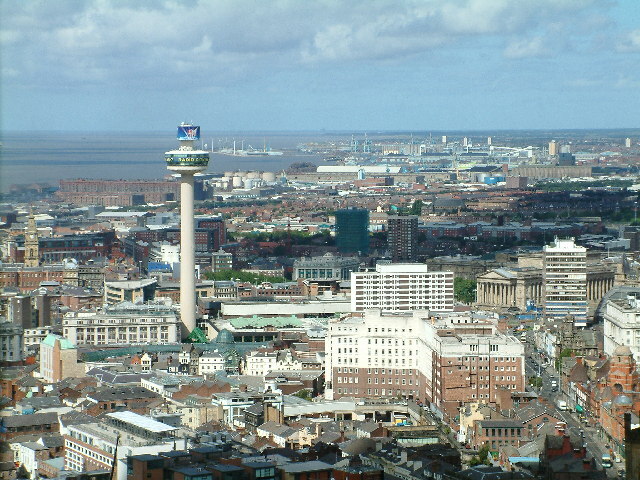 Actually called St John’s Beacon, the Radio City Tower gives a view from one of Liverpool’s most famous landmarks. Once a revolving restaurant, now housing Radio City 96.7 (LIV-LIV-LIVERPOOL). For £5.50 you can have a 360 view of the city from above, this one is pretty special as you’re looking straight down at buildings you’ll be frequenting a lot! With the landscape stretching into Cumbrian hills, you’ll be spending a while looking around. This one is literally about 2 minutes from Liverpool Lime Street and close to many, many bus stops including Queen’s Square. You can see a bit more about it in my Staycation posts from a few years back! And at the minute there’s a flash Virgins train sale, so get your tickets! This isn’t in collab with them in anyway, but I’m constantly on the Virgin Pendolino services between London Euston and Liverpool Lime Street, so Virgin, if you wanna hook me up….@daveygranger. Thanks for taking a gander at the first edition of the Liverpool Guide. Stay tuned for much more, drinks, food, culture, you name it.